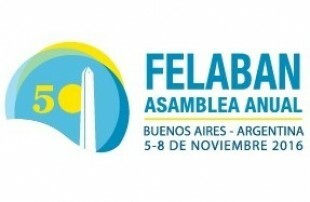 Mercap participates in the 50th Felaban Annual Assembly in Buenos Aires. Between the 5th and 8th of November, the 50th Latin American Federation of Banks Annual Assembly (FELABAN Annual Assembly) was held at the Hilton Buenos Aires Hotel. With around 2000 participants, it was attended by the directors and senior executives of banks and financial institutions, as well as by technological providers, national and international journalists and national political authorities. Among the latter, the presence of the Minister of Economy and Public Finances, Alfonso Prat-Gay, and the Chief of Cabinet, Marcos Peña, is worth highlighting. Mercap was one of the sponsors of the event, with a stand where several different gifts were given to the participants and they received information about the company’s two products for the banking market: Mercap Unitrade and Mercap Trading.